Search the Internet for “foreclosure help” and you are bound to encounter countless foreclosure agencies that, for an upfront fee, will stop your foreclosure. Their fees will cost you thousands and many of these agencies just take your money and let your home fall into foreclosure. What these agencies do is contact your lender on your behalf and ask for a lender workout. A lender workout is a relatively simple process that you can do yourself and save thousands in costly fees. If you are interested in learning more about doing a lender workout yourself, complete with letter templates, you should consider this lender workout foreclosure solution. There are numerous foreclosure scams being run through direct mail and the Internet. Before you sign any documents or send a check to anyone, you should look the company up through the Better Business Bureau, Yahoo, and Google for complaints. If you are asked to sign a “Quit Claim Deed” or any other documents that transfers ownership of your home, you are most likely being scammed. Should the company or person ask for a large upfront fee with no guarantee or contract agreement that outlines the details of his or her services that should also signal a red flag. Hang up the phone and walk away. You should always see everything in writing and have written guarantees from anyone claiming to stop a foreclosure for you. Believe it or not your lender is your best friend during foreclosure. If you are facing foreclosure, the lender has every right to your home. After all you did grant them a mortgage on your home. The good news is that your lender does not want your home; it simply wants you to make payments on time so they can get their money back. You should maintain contact with your lender and explain to them the reasons why you have missed payments. Your lender may consent to a forbearance agreement, loan modification, or a delayed repayment plan. Your lender will want to work with you because if you do foreclosure it will cost the lender between $30,000 – $40,000, the lender is not in the business of owning real estate, and foreclosures on lenders’ books makes it harder for them to obtain low-interest capital for future loan portfolios. Do not stick your head in the sand by ignoring your lender, educate yourself on your options and then contact your lender. More often than not homeowners in foreclosure have pressing day-to-day life issues, and are simply too overwhelmed to adequately find solutions to their foreclosure. Many then succumb to fraudulent foreclosure agencies or unscrupulous real estate investors who cost them their home. If you have no equity, no savings, and are one or multiple payments behind on your mortgage they are simple ways you can stop foreclosure or relieve yourself of that hefty mortgage payment and find something more affordable. You do not necessarily have to sell your home or if you must vacate it, you don’t have to go through the trouble of waiting for a buyer and you can still save your credit for a more affordable home purchase in the future. The Federal Housing Administration has designed a program just for homeowners who can no longer afford their mortgage because of an adjustable-rate mortgage reset, or homeowners who are in “interest-only” loans are may now have to begin to make principal payments. You can learn more about the FHASecure Refinancing program at http://www.fha.gov or search for FHA-approved lenders at http://locator.fha.gov. You may also seek the counsel of a HUD-approved counseling agency at 1-800-CALL-FHA. A foreclosure stands a good chance of being prevented or delayed if a HELOC was established before the homeowner ever missed a first payment. Unforeseen events such as job loss or medical problems will make it difficult, if not impossible, to obtain access to low-interest lines of credit , so it is important to have a HELOC ready for emergencies. A HELOC should not be used for frivolous expenses, but for real emergencies such as medical expenses or fees associated with getting yourself out of foreclosure. In the event that you lose your job, you can use the HELOC to pay for necessities until you are back on your feet and can repay the loan. Most HELOCs do not have a monthly fee if you do not access the line, so if you are in a position to set-up a HELOC you should do so as soon as possible. Though it may seem easier to pay your utility, credit card, and cell phone bills before you make payments towards your mortgage the reality couldn’t be further from this notion. After 3 or 4 missed payments the lender has the right to “accelerate” or “call” your home loan and insist on getting all back payments at once. If you plan to keep your home you should cut all of you unnecessary expenses such as cable and cell phones so that you can devote what little money you have to pay for your house. There are many methods to prevent foreclosure, and will you need to have cash available to cover expenses. Keep in mind that in order to get the mortgage company’s consent to a forbearance agreement or delayed repayment plan you need to prove to that you made every reasonable attempt to make mortgage payments. A Chapter 13 bankruptcy filing will stop foreclosure dead in its tracks. However, you should explore all other foreclosure solutions and consider bankruptcy a last resort. If you decide that Chapter 13 is the right answer to your situation, then you should be sure to meet all filing deadlines and make all payments outlined under the plan or may end up losing your home. If you decide to do a lender workout you will have to put a considerable amount of effort into gathering your financial information, writing letters of hardship, finding the right numbers to dial, and having the patience to sit on hold for HOURS while you await your chance to speak with a representative from the mortgage company. This will be a very trying experience and there is no guarantee that the lender will consent to anything you may suggest. Before contacting your lender you should have everything you need in order, including the numbers to dial, to ease the stress of this entire process and you must be persistent with the representative you are assigned (if you even are assigned one). Many homeowners assume that if they cannot make payments on their home their only options are to foreclosure or file bankruptcy. And even still, many individuals are not even sure how to go about those options. Before you jump the gun and quickly go down the wrong path be sure you have explore all avenues to get yourself out of your situation. Have you considered renting? Selling a fraction of your home for the amount in arrears? Have you spoken with a reputable real estate investor who may be willing to negotiate a deal so you may keep your house? Many people, who are still paying a rent that adds up to a huge amount yearly, donât realize that they have a much better alternative â and that is, to buy a foreclosure home. Isnât it so much wiser to invest the money you waste monthly into your own property? You might feel you canât afford buying your own home right now, but it is really about looking around hard. If the idea of foreclosed property has never occurred to you, probably, now it is time to turn to this inexpensive option. First of all, you need to know that you can buy a foreclosure home just like any other second-hand property. Real estate prices rarely go down. The value of even old houses steadily goes up, so you are definitely not losing anything, when investing into your own property. If you make a smart purchase, it will be 10-20% off the market value, so, clearly, a foreclosure property is worth considering, especially if you are on a tight budget. From an ethical side, there is also nothing wrong in acquiring a foreclosed property. Yes, it was confiscated from individuals, who could not pay off the loan taken from a financial institution. But then, they were aware of the terms and conditions, when taking a loan, and they knew that in case of non-payment the property will become the lenderâs possession. So, if you buy a foreclosed home, there should not be any guilty feelings at all. One of the easiest ways to find and buy a foreclosure home in accordance with all your needs is at a specially organized auction. Such auctions are held publicly, often at your county courthouse. The amount owed is what normally makes the first bid, and the bidder is the lending institution itself. In case no higher bids follow, the propertyâs ownership reverts to the lender. The level of competition on these auctions depends on the number of properties put for sale and their initial price. If the difference between the starting bid and their market value doesnât allow any profit, hardly anybody, except for the lender, shows up at the auction. At the same time, it is possible to find a really good deal and buy a foreclosure home much cheaper than anybody could ever offer you. So, locating regularly held foreclosure auctions is one huge step towards realizing your dream. Determine the final maximum amount you are ready to pay for a property, make sure to research on the propertyâs condition ahead of making a bid and you are all set to buy a foreclosure home with maximum benefit! Read up my property blog and find out how you can also buy a foreclosure home to stay. Myth: The bank wants my house. Truth: Banks never want your house. All they really want is the money that was given to you. They actually hate going through the foreclosure and might very often bend backwards to avoid a foreclosure. The flexibility of the bank may not suffice to stop a foreclosure, but do not be under the impression that the bank wants your house. Avoiding and ignoring the bank would only increase the possibilities of them knocking at your door. Myth: The bank will not take payments. I am left with no options. Truth: There are times when the bank specifies that if the debtor does not pay all the arrears in full, they will not accept partial payments. If this occurs, you will notice that after a month or so the bank sends back the payment and the ‘all or nothing’ requirement has increased. Do not be afraid! A mortgage negotiation professional is always there to mediate between you and the bank to stop the foreclosure. They set a small portion of the arrears that you have to pay. In addition, they also help you to pay for the remaining arrears. This could be months or even the loan duration or the loan extension period. Myth: I will have to move out, since I received a foreclosure notice. Truth: Almost all the states have a lengthy foreclosure process. You do not have to move out even though you failed to avoid foreclosure. A person is expected to go through an eviction process till he finally has to leave the premises. You need not hold on till the end, but ensure that you stay on and fight for as long as you can. Timely action would always ensure that you get through the foreclosure process easily, without losing the house. Myth: Since I am in foreclosure, banks will not refinance me. Truth: If an individual has enough equity, say about 60-70%, specialty lenders do refinance the house and help in paying up the bank, thus stopping the foreclosure. Myth: Since I have undergone a foreclosure, I cannot buy a new house. Truth: Foreclosure is considered the worst thing ever to appear on a credit report. In spite of this, many banks offer to loan money after foreclosure. Be ready to pay high interest rates and large down payments though. Very often the terms do not allow you to purchase any new real estate property or house. If you are able to spruce up the credit report by rebuilding the credit, you might just be lucky enough to approach a bank for a foreclosure. Myth: Everyone will invade my house on the day of the auction. Truth: No one is allowed to come inside the house without a court order. According to foreclosure rules, this can be done only if you invite the concerned people into the house. Myth: Chapter 7 Bankruptcy would halt all bankruptcy operations and save my house. Truth: Chapter 7 Bankruptcies stop home foreclosure only for the time being. Ultimately, you have to think of some alternative to pay back the loan and keep the house as well. When you take out a loan from a bank or any other financial institution, you have to do everything in your power to meet the terms of the agreement. This generally means not falling behind on payments. Any default on payment will most likely have a negative impact on your credit record, but the situation can get a lot worse than that. If you have taken out a mortgage on your home and if for whatever reason, you find yourself behind on payments, you risk losing your home, which can be a very traumatic experience. If you are in foreclosure, you need to take immediate action so that you donât find yourself in a position where very little can be done. If your financial situation is critical, you should think twice before choosing any of the refinance options that are available for you. In other words, if you anticipate that you still wonât be able to make payments on time after you refinance your home, maybe you should consider selling the property and opting for a rent situation, which may be less of a burden to your budget than a monthly payment for your loan. On the other hand, if you want to keep your home, you should look closely at your refinance options, and choose the best for your specific situation. Loan modification represents a very common alternative to home foreclosure. You can protect your credit and keep your home by agreeing with your lender on a loan modification. Your current financial position may make it difficult for you to meet the conditions of a repayment plan, as this involves higher payments. Furthermore, you may not have the option to refinance your home for a reduced payment, as you may not qualify for another loan. Under these circumstances, loan modification may be the best solution for you. You can work out a loan modification plan based on your current financial situation. The terms of the loan can be altered so that you benefit from more manageable payments. The loan modification program used to be a very common way to reverse foreclosure. However, nowadays not all banks and financial institutions are willing to offer their borrowers this second chance. But if you are in foreclosure and no other solution is available, you should consult with specialists and find out whether you can opt for loan modification as a method of foreclosure resolution. In spite of the fact that your lender often appears to be your worst enemy, you may be surprised to learn that the financial institution wishes to find a less drastic solution to the situation as much as you do. Therefore, you are presented with a lot of options to stop foreclosure and refinance your home. Some of these solutions may be more appropriate to your specific needs than others, and given the fact that you are already in debt, you should look for the most convenient solution to foreclosure resolution. Exploring all your options may be a bit confusing, especially if you havenât dealt with anything of the kind before. This is why you should try consulting with foreclosure specialists. Each and every one of the options that you have to reverse foreclosure has its good points and bad points. The final decision is yours, but at a time like this, when you risk losing your home, it will make a huge difference to get the honest opinion of a specialist whose job is to find the best solution for you and get you out of trouble. Keeping in touch with your lender and informing them of your situation is advisable. However, if you are already in the pre-foreclosure period, you should seek the help of specialists who know exactly what to do and how to negotiate on your behalf. With foreclosure being such a common occurrence in the United States, mortgage companies canât be anything but happy that such foreclosure specialists exist to make their job easier. If you’re a homeowner facing the threat of bankruptcy in the near or even distant future, the single most important thing you can do to protect your assets is to stop foreclosure. The loss of a job, cuts in hours or overtime, retirement, the death or illness of a family member, and several other factors can threaten your assets as a homeowner, but taking careful and deliberate steps in dealing with your creditor can potentially stop the home foreclosure process and get out of debt altogether. As simple as it sounds, many people facing imminent or even distant foreclosure proceeding fail to do the simplest thing possible to avoid the process; contacting your mortgage lender as soon as financial problems arise which would prevent you from paying all or a portion of your mortgage on time. Surprisingly, this happens more often than not. Most of us would feel embarrassed faced with such circumstance and don’t even thing to let the bank know about whatever situation may have befallen us for fear that they will attempt to expedite the collection process and take as much as possible as quickly as possible; leaving us impossibly in debt and facing no other option than to declare bankruptcy. In fact, this assumption could not be further from the truth, and is the first mistake most make faced with this situation. Far from wanting to harm their customers, creditors and banks very much want to assist their customers in regaining financial control over their life. It is, after all, in their best interest to be receiving payments from you in some regular variety, not possible should you decide to declare bankruptcy. If worse comes to work, the bank has the right to foreclose on your property, but this too is a last resort for the banks if for no other reason than the unwanted obligation it ties them to. When the bank forecloses on your home it must then either sell it to a private buyer or auction it off. Both processes are expensive and time consuming. Most every bank and the majority of private lenders have programs available to their clients designed to keep them in their homes. Again, though, these payment plans are usually only available to debtors who are two payments or less behind. The more behind you are on your payments to the bank; that is, how long you’ve been in default, the less options you have. Many Americans are unable to save for their retirement because they are over burdened by debt, the majority of which has been built up over time as a result of high interest credit card debt. No doubt they all work hard for their money (in fact, the majority earn more than enough to live comfortably) yet some cannot qualify for mortgage financing because their debt to income ratio is too high. Unfortunately for most people, much of their hard earned dollars are consumed paying credit card debt that never seems to disappear. This sort of compounding debt can easily spiral out of control and for many hardworking Americans can result in foreclosure of your assets. There are many services being promoted which promise complete elimination or drastic reconsolidation of your credit card debts, mortgages, auto loans and even student loans. It’s wise to exercise extreme caution prior to dealing with such agencies and organizations. As with any financial situation, due diligence should be preformed in order to eliminate the possibilities of being taken advantage of. These programs often do more harm than good to their customers and, while they may be able to lower your monthly payments, they will ultimately raise the interest paid to their organization drastically over time. Debt elimination is just one alternative to dealing with the problem of debt. 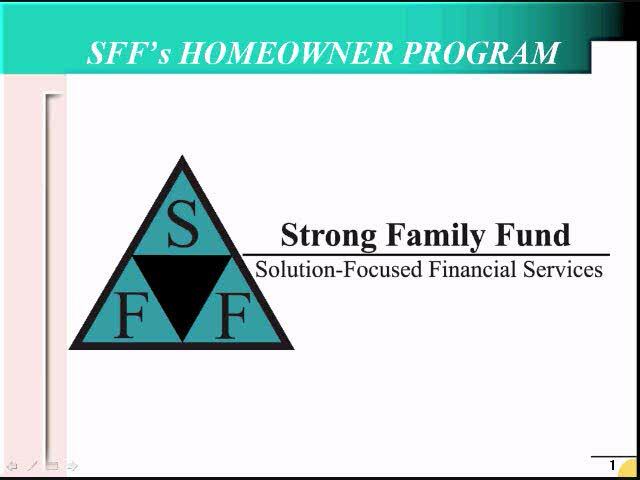 Instead of engaging in a confrontational mortgage elimination program, many organizations offer services that may well work more efficiently with your bank to help you eliminate mortgage payments by paying off the mortgage using funds generated from a new promissory note. Though it helps in the process, you may not even need a mortgage to participate in such programs. They can be used to pay-off auto loans, student loans, medical bills, credit card debts, unsecured loans, and any other kind of debt, secured or otherwise, imaginable. Put as simply as possible: failing to pay any of your debts can seriously affect your credit rating. Whenever possible, any income available after paying for food and utilities should be used to pay your monthly mortgage payments. If your employment income has been stopped or reduced, first consider eliminating or reducing your other expenses (such as dining out, entertainment, cable, second automobile, or even telephone services). Take any responsible action that will save cash – you’ll be very thankful you did. There may come a time prior to foreclosure when it may become all too apparent to you that you can no longer afford to keep your house. Typically in this situation your lender will usually agree to give you a specific amount of time to find a purchaser and pay off the total amount owed. You will be expected to obtain the services of a real estate professional who can aggressively and successfully market the property in the short timeframe allowed to find a qualified buyer. If the property’s sales value is not sufficient to pay the loan in full, a second sales option should be available to you; your lender may be able to accept less than the full amount owed as settlement for the account. This option can also include a period of time to allow your real estate agent to market the property and find a qualified purchaser. Monetary assistance may be available to satisfy additional lien holders and/or help toward paying a few moving costs. Explore every reasonable alternative to avoid losing your home but beware of scams. Keep an eye out for equity skimming (a buyer offering to repay the mortgage or sell the property if you sign over the deed and move out) and phony counseling agencies: offer counseling for a fee when it is often given at no charge. Remember that information is your best defense against becoming a victim of predatory lending especially for a desperate homeowner. The foreclosure process can be among the most embarrassing financial situations you’ll ever face. Keeping in mind these few helpful hints can not only make the process bearable, but tip the scales in your favor. When homeowners are facing foreclosure, the mortgage lenders often become referred to as evil, heartless people. While this anger in understandable, it could be in the way of you keeping your home. Unless you foresee having financial problems for years to come, you will want to make nice with your financial lender. After all, they may be able to provide you with an alternative. This alternative can keep your home out of foreclosure or stop the current process right in its tracks. The first step in getting your lender to work with you, to avoid foreclosure, is speaking with them. You will get nowhere by avoiding them. Whenever you receive a warning or an intent of foreclosure notice or a phone call, start making plans to contact your lender. While you may want to head straight to your local bank branch, you may want to take a few hours or a day to reflect on the situation. This will allow you to develop a plan of action, a plan of action that will be successful. Before meeting with an official at your bank, it is important to know what you will say and how you will say it. This is key to keeping your home out of foreclosure. Although financial lenders want to avoid foreclosures at all costs, they donât want to keep on losing money. Lenders are usually unwilling to work with those who donât show true interest in rectifying the situation. That is why a plan of action is required. As for that plan of action, collect as much information as you can about your current financial situation and the cause of it. For example, are you currently laid off, but looking for a new job? Take your updated resume to with you. It can help to show that you are actively looking for a job and trying to save your home. Let them know of any upcoming interviews you may have scheduled as well. If you are out of work due to an injury and that injury is only temporary, get notices from your doctor and your place of employment. This will prove to your lender that you still have a job waiting for you and will be able to return to work soon. Proving that you do intend to make your mortgage payment in full and as soon is possible is key to avoiding foreclosure or stopping it. Next, it is important to consider your appearance and your attitude. Starting with your appearance, it is important to walk into the bank with your head held high. You will also want to dress professionally. Women should wear dresses or pantsuits. For men, pantsuits are also recommended. Avoid casual clothing. For many financial lenders, a borrower who carries himself or herself in a professional manner shows responsibility. Responsibility is another important key to getting your lender to work with you. As for your attitude, make sure that you donât have one. As previously stated, financial lenders often become the bad guys when foreclosure is threatened or when the process gets started. No matter how angry you are with your lender, do not let your anger show. If you learn that your financial lender is willing to work with you, to help you avoid foreclosure, they may offer their own suggestions. You can take these suggestions, but donât get in over your head. Reduced mortgage payments are nice, even if they are only temporary, but make sure that you can pay them. If a strict deadline is set for the return of the originally agreed upon payments, make sure you can make those payments too. If not, the whole foreclosure warning process will start again. In short, always approach your financial lender if you suspect foreclosure is on the horizon or as soon as the proceedings start. Since lenders lose money on foreclosed properties, they want to avoid foreclosure just as much as you do. 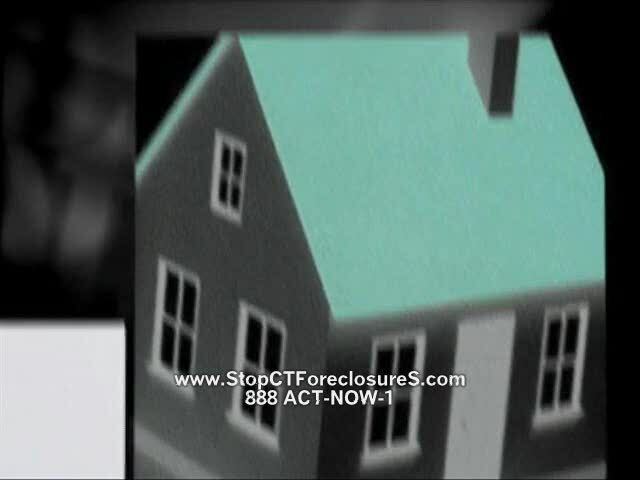 Stop CT Foreclosures, foreclosure solutions including loan modifications, short sales, bankruptcy, selling your house, and more. Rep. John Conyers, Jr. (D-MI) chair of the House Committee on the Judiciary and Congressman from Detroit, recently sponsored legislation to change the bankruptcy laws and Help stop foreclosure. H.R. 200, the “Helping Families Save Their Homes in Bankruptcy Act of 2009,” includes several ideas similar to President Obama’s stimulus plan. Have you been affected by the foreclosure crisis? We want to tell you story. Visit FightingForOurHomes.com. Produced by Brave New Foundation.